The United States is currently gripped in a bout of earthquake mania, following a series of significant tremors in the West. And any time Yellowstone, LA, or San Francisco shakes, people start to wonder if it’s a sign of The Big One™ to come. Yet even after decades of research, earthquake prediction remains notoriously hard, and not every building in quake-prone areas has an earthquake-resistant design. What if, instead of quaking in our boots, we could stop quakes in their tracks? 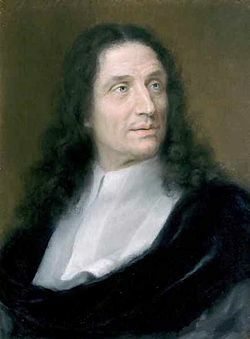 As we think soothing thoughts of stability, we might send scientific birthday greetings to Vincenzo Viviani; he was born n this date in 1622. A mathematician and engineer, Viviani is probably best remembered as a discipline of Galileo: he served as the (then-blind) Galileo’s secretary until his death; he edited the first edition of Galileo’s collected works; and he worked tirelessly to have his master’s memory rehabilitated. But Viviani was an accomplished scientist in his own right: he published a number of books on mathematical and scientific subjects, and was a founding member of the Accademia del Cimento, one of the first important scientific societies, predating England’s Royal Society.